It’s the holiday season so I know you get them too. Appeals for money from every possible type of charity there is. Who do you share your post tax income with? How do you choose? Before being laid off, we gave to many of these charities every year, often without reading about them, without knowing where the money was going. We still give to charities but, since 2009, our criteria for giving have changed. We’ve had to be more careful about what we give and which charities get the nod. Heifer International– Heifer’s gifts aren’t fruit baskets or silky scarfs or fine wine. They are grounded, living gifts that help indigenous people become self-supporting, able to feed themselves, their families and sometimes, their whole village. 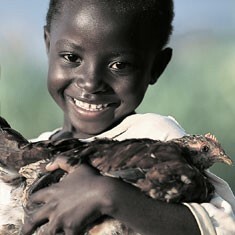 This year we donated enough money to buy three flocks of chicken and two honeybee hives for people in other countries. These gifts will keep on giving for years after they arrive in their new homes. Sunday Breakfast Mission– The Sunday Breakfast Mission started small – feeding holiday dinners to homeless and jobless men in Wilmington, Delaware. Last year, this charity served more than 200,000 meals to hungry men, women and children and provided shelter for close to 300 people . Sitting in my warm home, with my full refrigerator and my full life, I know that this is one charity I have to support, no matter what. The first two charities support people. The next two support the planet. The Audubon Society – Ansel Adams once said, “It is horrifying that we have to fight our own government to save the environment.” I’m not ashamed to admit that I support this organization precisely because it does fight our government; it does insist that our elected officials and the 1% of this nation that continues to get wealthy off the entire country’s resources be held accountable for the damage they are doing to our planet. If we don’t stand up for this world, the ecosystems, wildlife habitats and the birds and animals who live in them, with us, who will? Nature Conservancy – this organization fights to protect ecologically important land and water in every state in this country and in 30 other countries around the globe. Donate to Nature Conservancy and help buy endangered land and waterways, help to build coalitions between governments and between and with the residents who live in the area. Their work is rooted in science, their conservation projects are practical and their outcomes are there for every one to see and enjoy. There are other charities we support in smaller ways, like the Ocean Conservancy and the Sierra Club. We still drop money in the Salvation Army buckets and give gently used clothing to the Goodwill but we like the 4 charities listed above because their work will live long after our money is gone and our lives are over. If you have a little extra cash burning a hole in your pocket this holiday season, you might want to think about sharing it with charitable organizations like these and with people who need food, shelter, and livelihood a whole lot more than they need a new car, a new phone or a new toy. You might think about giving the gift of life. I think the number of organizations asking for money has definitely increased the past couple of years. Or maybe I’m just more aware of it? I definitely agree that it is so important to KNOW exactly what you are giving to. I love this post! Thanks! I think the number of requests has gone up and my funds have gone down a bit. Both factors are affecting our gift giving this year but so is a new thought process about gifts. It’s odd to try and describe but I feel less driven and more relaxed when I choose gifts that enrich life instead of just fill it with noise. Hope that makes sense! FYI I LOVE your blog. Signed up for new posts and even though I am an old hand at being frugal (my Dad used to say cheap) and have posted some ideas of my own through my alter ego – https://write-on-target.com/dottie-domestic/ I learned a few new things from you. Thanks for sharing. Thanks! I’m so excited that someone who is “an old hand at being frugal” follow’s my blog! Thanks babe. I was a slow learner about gifts and how much more valuable they are when they come from the heart.